Bedstraw – Not Just For Sleeping On! Galium verum, commonly known as bedstraw, is a native of Western Europe and can be found on dry banks, in pastures and meadows, and near the sea. In olden times, bedstraw was used by women for disorders of the uterus and it was laid in the bed to ease childbirth, hence the name! In herbal medicine, bedstraw is beneficial as a blood purifier and diuretic, and can be recommended for kidney disorders, thyroid gland complaints and for the lymphatic system. Our body relies on the lymphatic system to drain away toxins and drinking bedstraw tea will eliminate these through the urine. As a lymphatic tonic, a tea is taken daily for swollen glands anywhere in the body, especially tonsillitis and adenoidal problems. Infuse one heaped tsp of herbs with one cup of boiling water for approximately three to five minutes and strain. Drink 3 cups throughout the day, adding 5 mL of Swedish Bitters to your morning and evening cup. 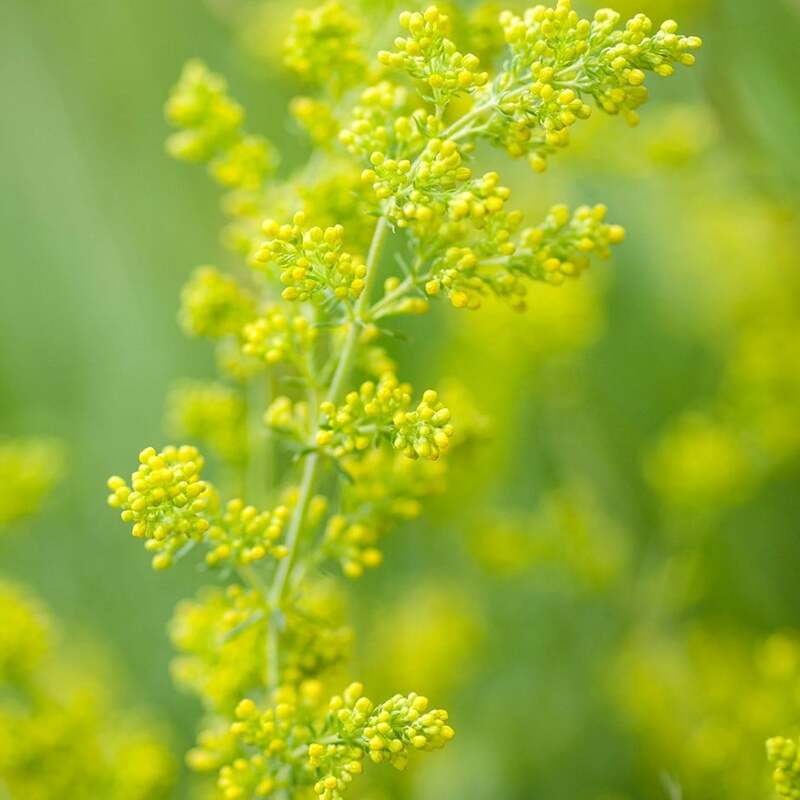 According to Swiss scientist and herbalist Abbé Kuenzle, bedstraw is a reliable remedy for serious kidney disorders, especially if it is mixed with golden rod and dead nettle. The noted botanist Richard Willford, in his book “Health Through Medicinal Herbs”, writes that “rinsing with and drinking bedstraw tea is an excellent remedy for cancer of the tongue”, due to its anti-tumour properties. Bedstraw is a very versatile plant and has been used for centuries for a wide range of problems. Not only can you drink it as a tea, the fresh leaves and tips can be boiled and eaten like spinach, and an infusion can be applied externally to help clear the complexion or even as a hair rinse, for dandruff.